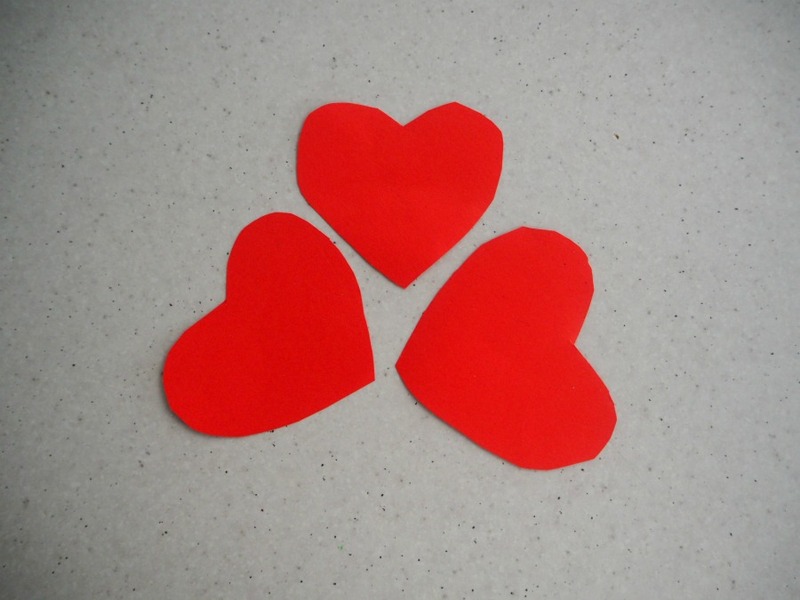 Whether you celebrate Valentine’s Day or not, it can be a fun theme to create some craft projects around, with lots of red, pink and hearts in mind. I’ve shared before some simple ways to show your kids you love them on Valentine’s Day. 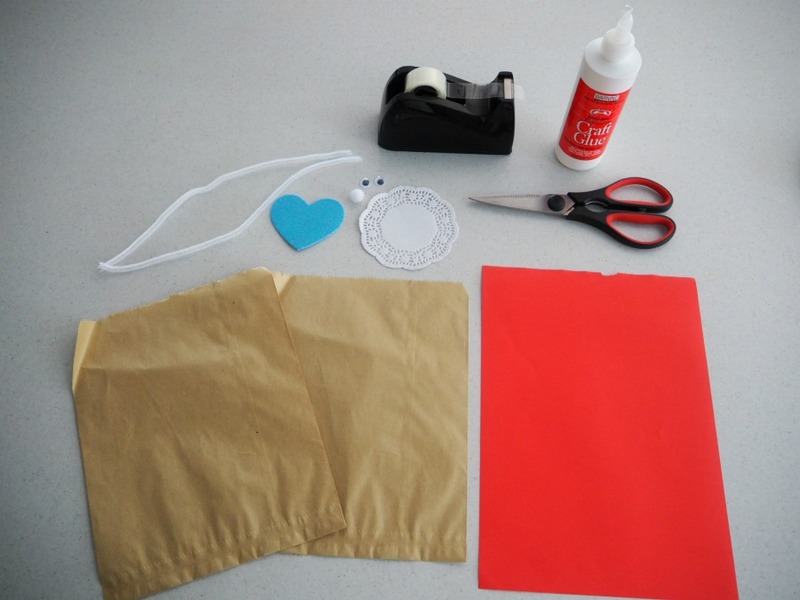 This craft is so easy and cute, even my two-year-old found it fun to create. 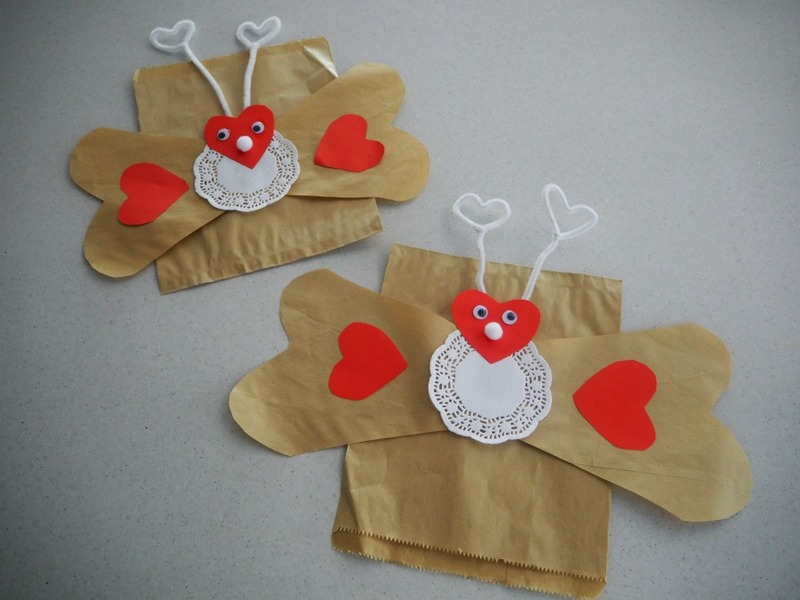 While there is no such thing as a love bug, we were happy to use our imaginations and come up with a fun design of what we’d think a love bug would look like if it were real. 1. 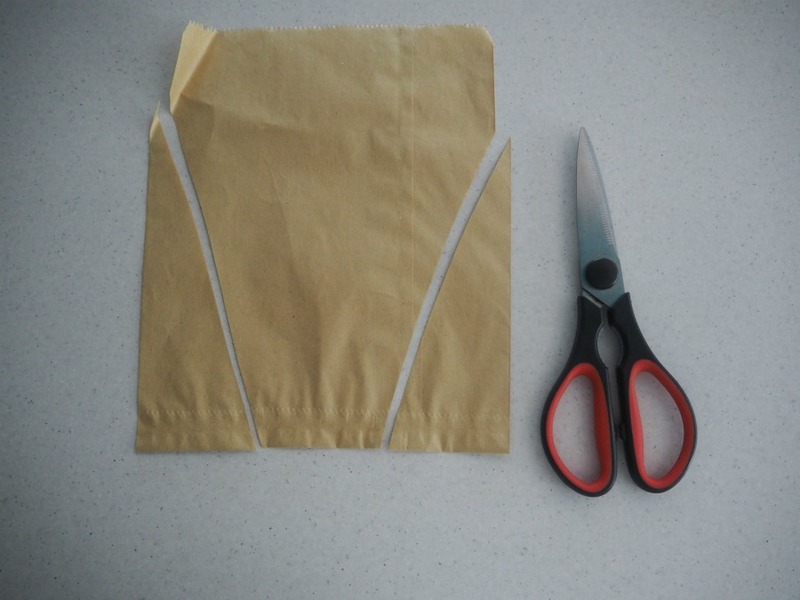 Cut the sides of one brown paper bag, diagonally to create a heart shape. 2. 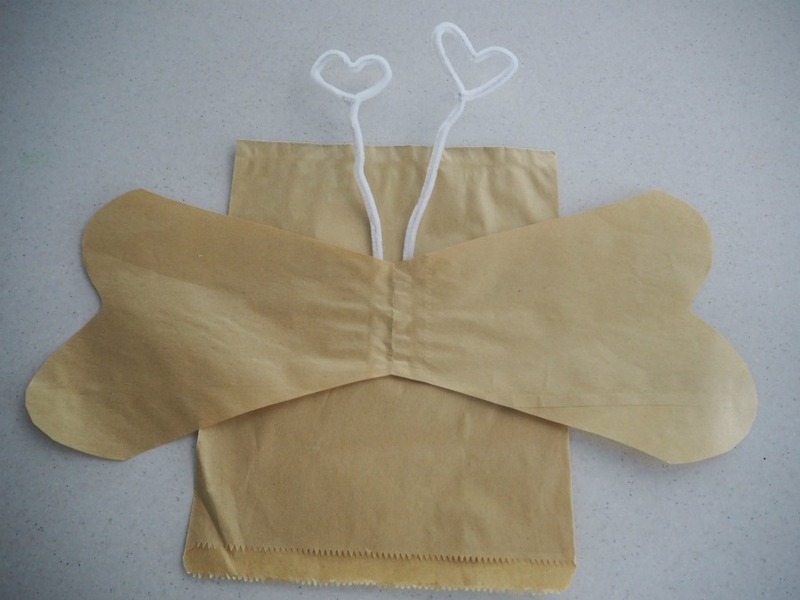 Open up the brown paper bag to reveal the wings of our love bug. 3. 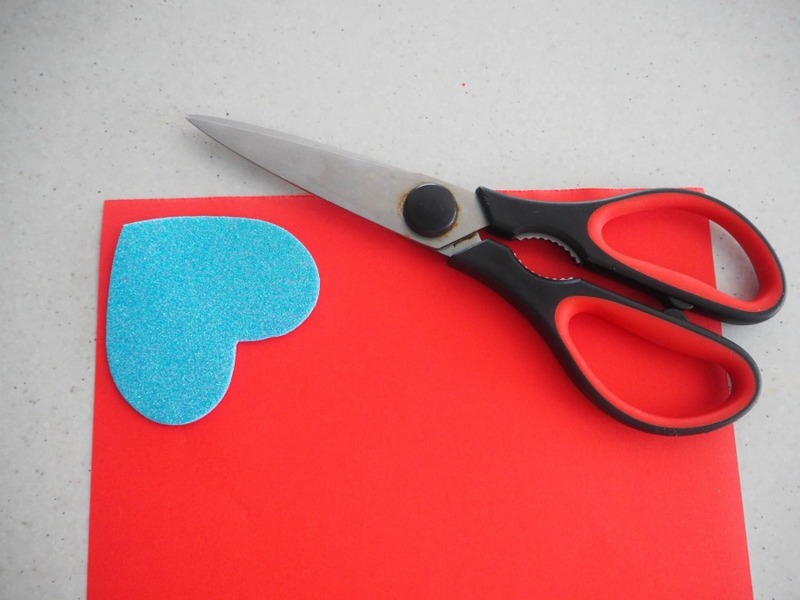 Use the heart motif to cut 3 red hearts from the red paper. 4. 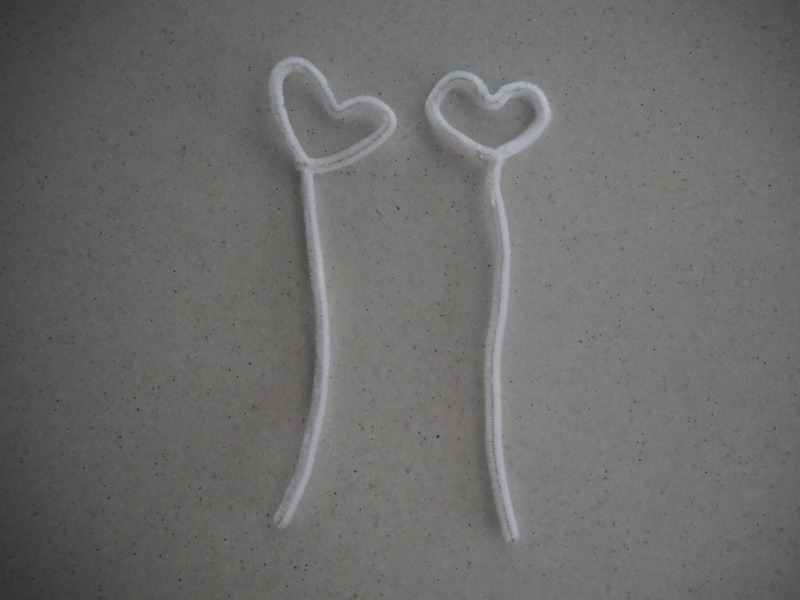 Twist the top of each pipe cleaner to create a heart shape to act as the antlers. 5. 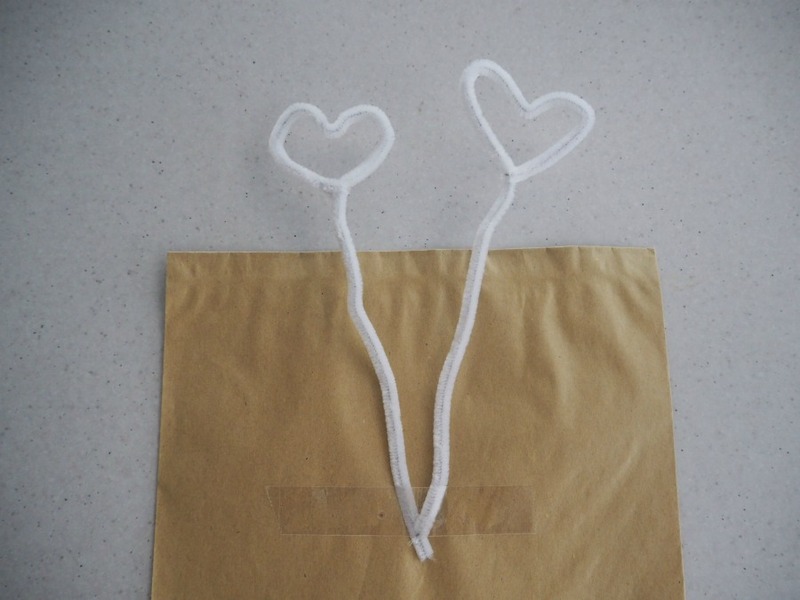 Decide if you want a love bug puppet or a love bug bag to put sweet treats in. 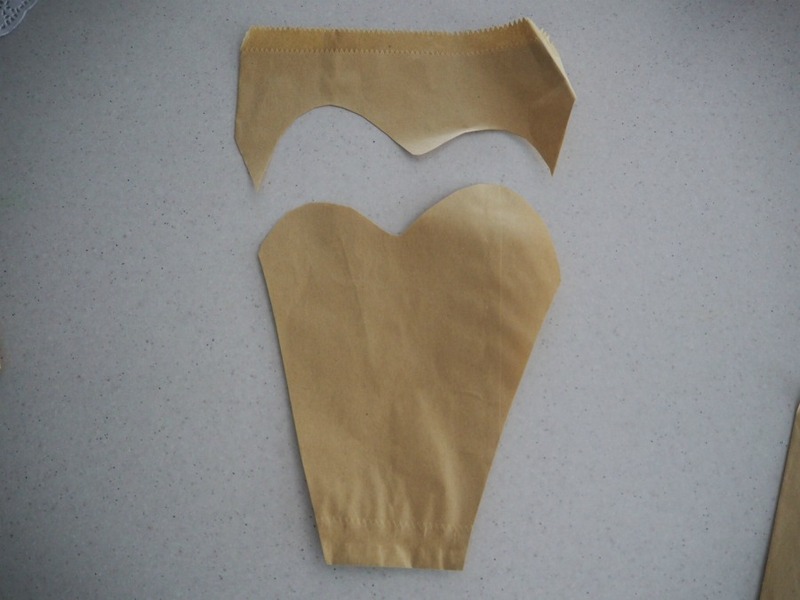 I chose to make a puppet so had the opening of the other brown paper bag face downwards. 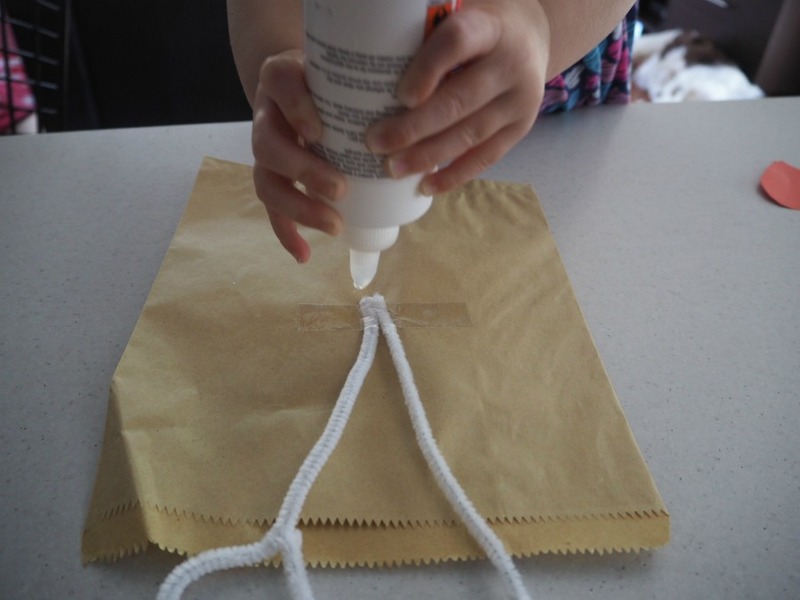 Phoebe created a bag so her opening was at the top. 6. 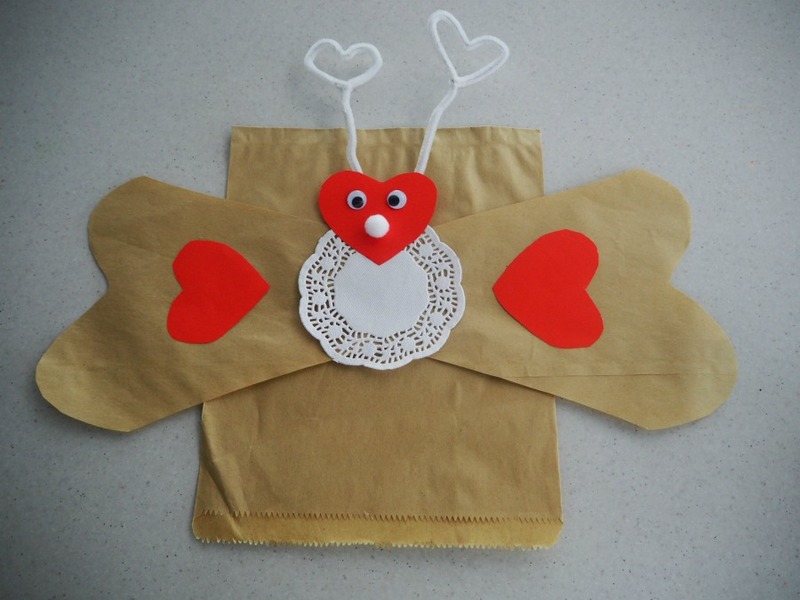 Use sticky tape to stick down the antlers. 7. 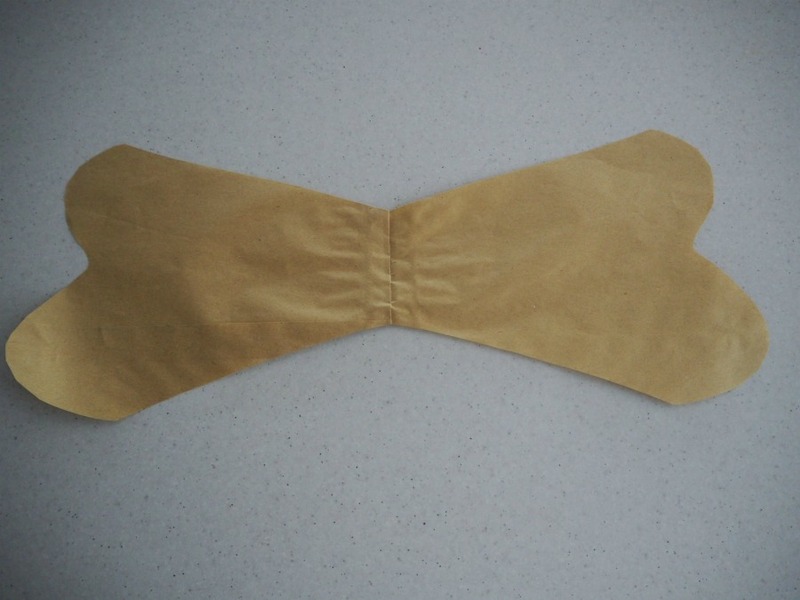 Glue the brown paper wings. 8. 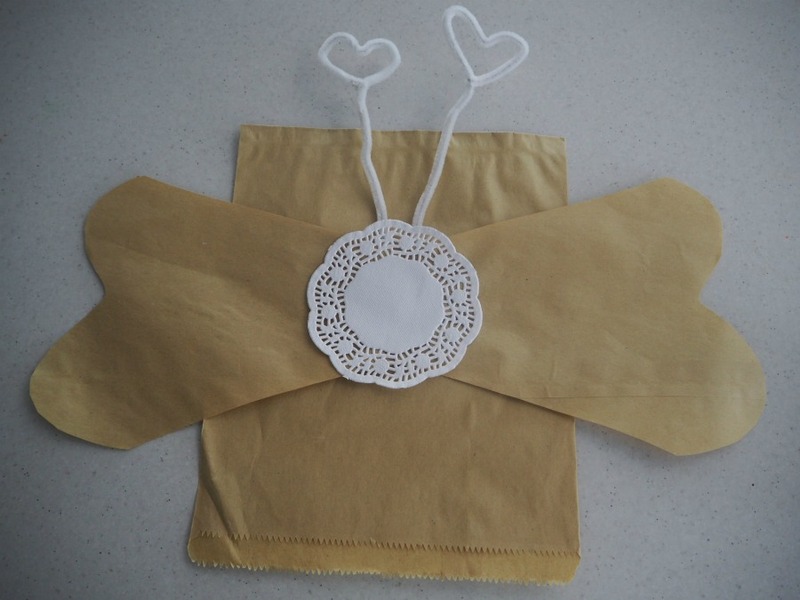 Glue the paper doily. 9. 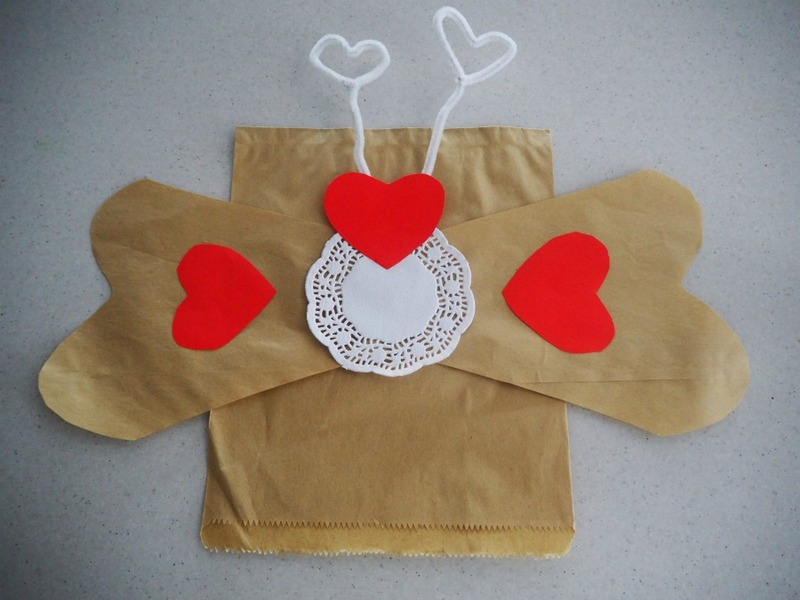 Glue the red hearts – one on top of the doily for the love bug’s head and the other two on the wings. 10. Glue the eyes and pom pom nose on the heart head. 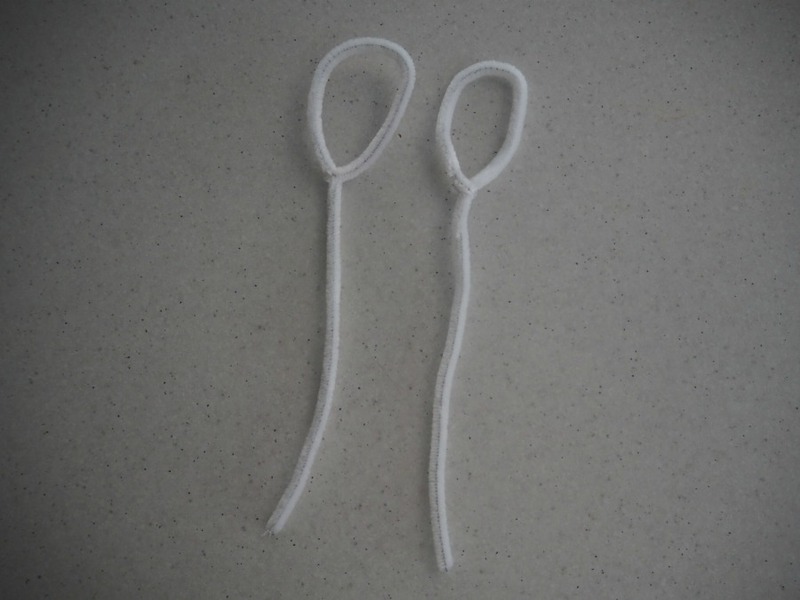 These can make a cute little gift for kids to give to loved ones. 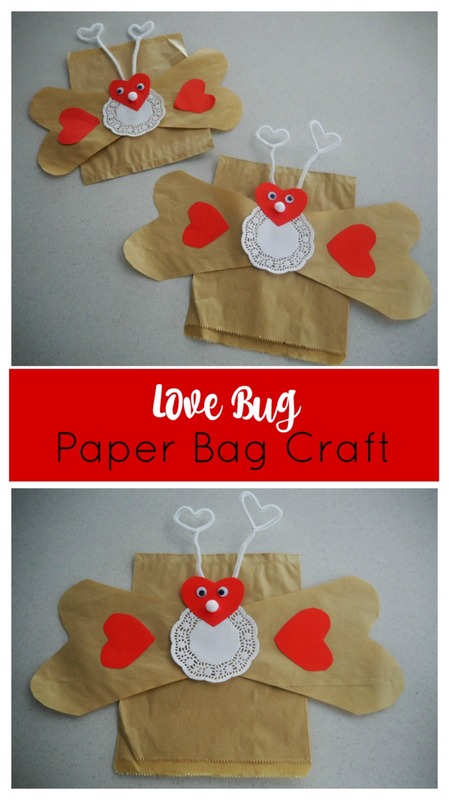 You could also make a few different coloured love bugs to create a puppet show.